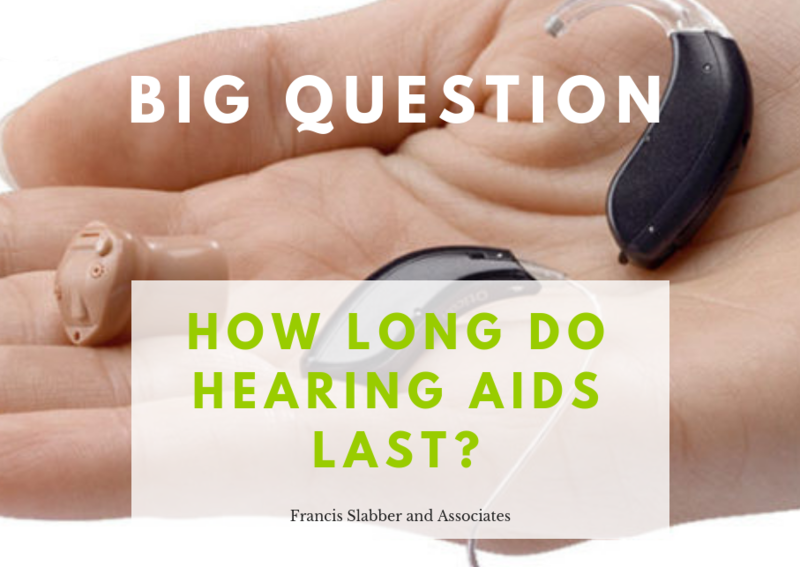 When deciding whether to purchase hearing aids, one of the most common questions audiologists receive is ‘How long will they last?’. While there are factors that might impact on the expected life span of hearing instruments, there is a generally accepted average. Before revealing the average hearing aid life span, stop to think about how many hours your hearing aids put in per day. If you are wearing your hearing aids every day, for as long as you should, it equates to about 12 hours per day. That’s over 4000 hours per year! They are expected to perform unfalteringly in rain, shine, amongst wax and perspiration, make-up and even after a shower or two. To put it another way, a car that travels 60kms per hour, for the same amount of time that a hearing aid should be worn, clocks up 260 000kms per year! If you consider how hard the hearing aids work all day long, especially considering their small size, you may be surprised to learn that they generally have a lifespan of 5 years- if they are looked after properly and serviced regularly. Hearing aids require maintenance and looking after in order to ensure that they perform well throughout their lives. Service your hearing aids annually. Servicing gives you the peace of mind to know the aids are working as well as they can be, and ensures that all the components inside the aids are in the best possible condition- and if the aids are under warranty, your services are usually covered. Keep them dry. Silica gel capsules and sachets are only the start of moisture protection. If your hearing aids still seem to collect moisture then you should consider purchasing an electronic drying station which the hearing aids can ‘sleep in’ at night to prevent damage from corrosion. There are different types and sizes so ask your audiologist about what might work for your instruments. Check your hearing aids every day to see if they need a clean. Wipe them with a dry cloth or tissue when they come out of your ears at night (do not use liquids). Check the tubes for wax and remove the wax if necessary. Also don’t forget to check the waxguards. For custom or receiver-in-the-ear hearing aids, be sure to change the waxguards (the filter on the end of your hearing aids’ receiver) on a regular basis, even if they don’t look blocked. A partially blocked waxguard will not cause the aid to stop working, but it will diminish the quality and quantity of sound, and may allow wax to slowly corrode into the receiver, damaging it. When cleaning your hearing aids, it is helpful to work over a surface, preferably softened with a towel or the like, so that the hearing aid doesn’t have far to fall and the landing will be soft in case it’s dropped. Is also useful for catching batteries which are very difficult to find once they have landed on the floor! When your hearing aids are not in your ears, they have to be in their box! Hearing aids that are left next to the telephone or on a side table tend to go missing, or get stolen and chewed by the family pet. Make sure that you know how to put the batteries in the right way and always use only the best quality batteries that you can. Remember that old, flat batteries should be removed from hearing aids as they can cause damage from leakage. Hearing aids are complex but also very tiny computers. They are serviced by knowledgeable and trained professionals. Please do not try to open them or repair them yourself. When in doubt about what to expect from your hearing aids, or how to take care of them, speak to your audiologist. For more information or to chat to us, contact us or comment below.